Custom invitation design, letter-pressed on handmade paper. 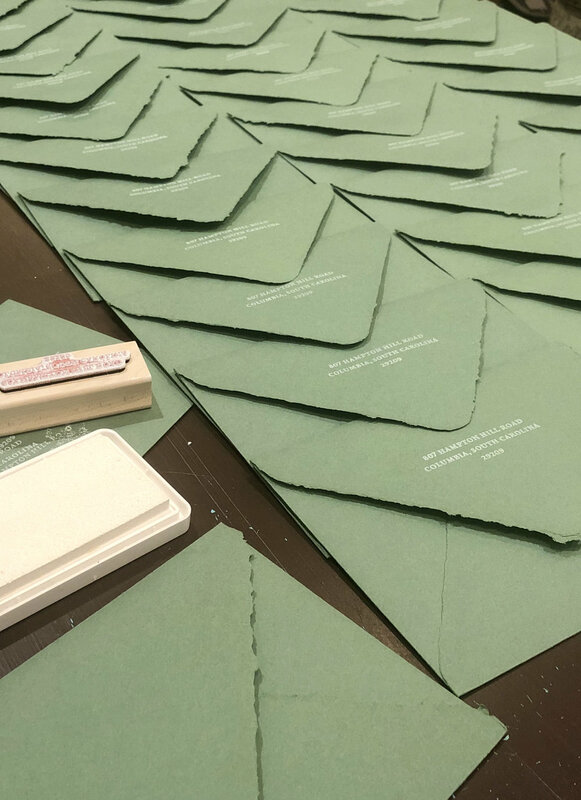 Envelopes made from handmade paper, hand-addressed with white ink and hand-stamped with the return address on the back. 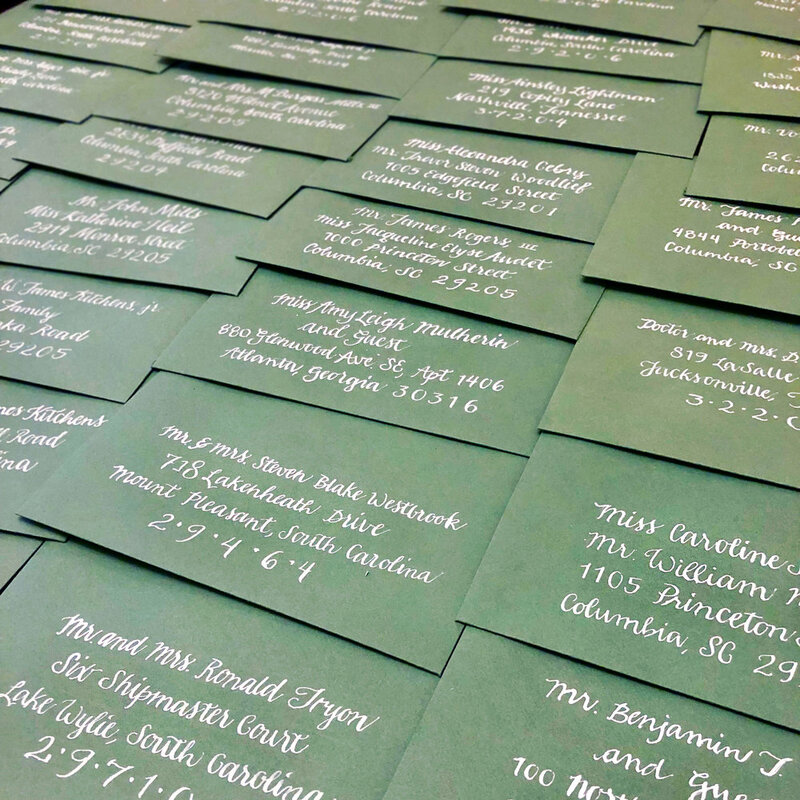 Custom invitation design with hand lettering, letterpress, two-piece invitations, hand stamped envelopes and more. Yeah, that's right... I've been sleeping with the bride. You're cordially invited to witness a large chunk of our parents' money disappear in a five-hour time frame. We're having an open bar! Oh, and a wedding. I'm sorry that my toast ruined your honeymoon.